Join Dr. Mor as he discusses Immunology in Pregnancy. Upon completion of this course, the participant will be able to: (1) Discuss the risks associated with obesity during pregnancy and delivery; (2) Counsel women on gestational weight gain guidelines; (3) Provide recommendations for preconception and prenatal care after bariatric surgery; (4) Apply information to improve maternal morbidity during pregnancy. Join MFM, Dr. Chia-Ling Nhan-Chang, as she provides a general overview on the role of 3D Imaging in Perinatal Ultrasound. Join Dr. Alfred Abuhamad as he presents on the 1st trimester anatomic survey. At the end of this presentation, you should understand: ​How to acquire and optimize the midsagittal plane. The evolving role of the first trimester scan in obese patients and in screening for fetal malformations. The importance of the midsagittal plane in screening for various malformations. What malformations may potentially be detected in the first trimester. 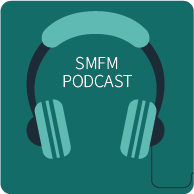 SMFM Webinar Series: Postpartum Hemhorrage/TXA Usage. Join Dr. Smulian as he discusses Postpartum Hemhorrage/TXA Usage.